Dos Santos: Anti-Beat Orquesta continues to receive heavy praise since their formation just a couple of years ago. We’ve worked in and around the overall Latin music community in Chicago and we can attest to the fact that they are the first band of its kind to create such a buzz across the city! They are also the first to have released their music on vinyl through the label created by vintage Latin purveyors, Sonorama. Their self-titled debut album is available for purchase here. After spending the year performing in festivals and venues in the greater Chicagoland area, as well as neighboring states and even SXSW and the Pachanga Festival in Texas, the five fierce musicians are now ready to hit the road to share their psychedelic cumbia and Latin soul sounds. Before they head out, though, they’re going to make us dance the night away during their performance at Ruido Fest. 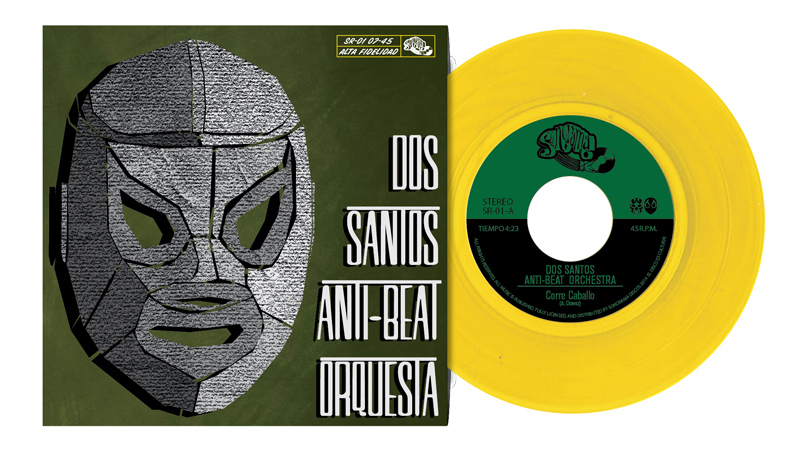 Dos Santos: Anti-Beat Orquesta rocks the sounds of pan-Latin American cumbia. Their gritty grassroots approach captures the “golden age” of streamlined, tight-knit ensembles that shook sweatbox dance floors with raw and fierce energy throughout Latin America in the 1970s—honest dance music with no frills and no fear, anchored by piercing guitars, garage organs, and straight-ahead percussive might. 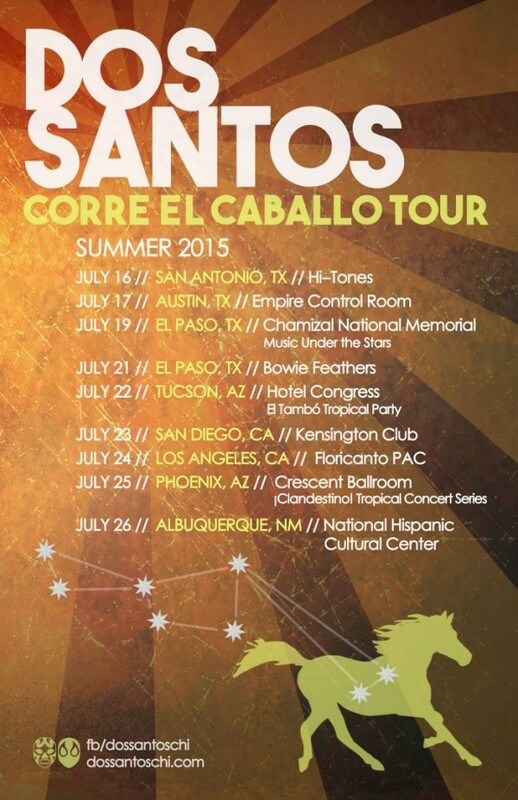 After making their debut in May of 2013, Dos Santos has been steadily making the rounds at Chicago’s premiere live music venues and festivals, bringing the sounds of pan-Latin American cumbia to audiences across the city. The rich and diverse landscape of Chicago live music has seen its share of Latin American dance genres come and go, while others have maintained a strong presence over time. When it comes to cumbia, Dos Santos have made it their goal to provide a much-needed live artistic voice, expanding the listenership, appeal, and general conversation about Latino music throughout Chicagoland. The group is formed by Irekani Ferreyra, Alex Chavez, Daniel Villarreal-Carrillo, Jaime Garza and Peter Maestro Vale.